The rounds that make up the 2019.1 SA simV8 Series will act as qualifying rounds for Sim Race SAs flagship championship, the 2019.1 SA simGT Series, whereby the top 7 finishers will earn a grid slot for the following SA simGT Series Division 1 round. A top 7 result in a SA simV8 Series round. A top 7 (the next top 7 who have not already qualified) result in a SA simGP Series round. A top 3 result in the previous SA simGT Series Division 2 round. A top 5 result in a SA simGT Last Chance Qualifier (LCQ) round. 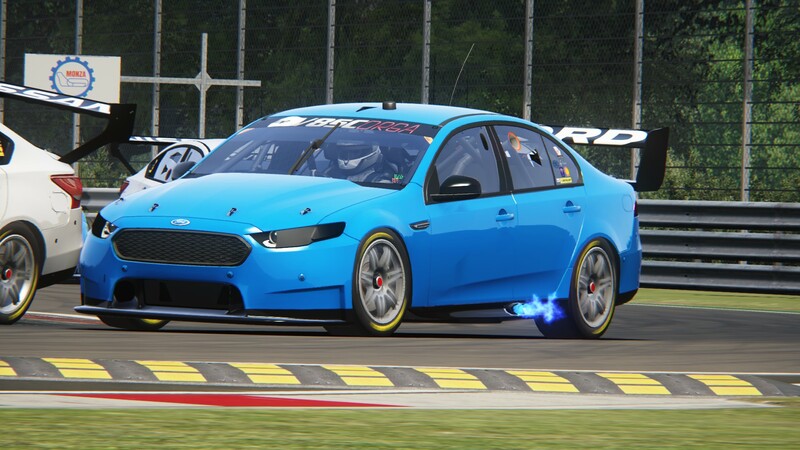 A once-off and flat free of R150.00 for the 2019.1 season (including all other championships) is required to kick-off a qualifying campaign towards the SA simGT Series. How did you find out about Sim Race SA? ** Only once you have received a confirmation email, and payed the minimum donation amount, will your sign-up process be complete. *** Please allow for at least a week before receiving a confirmation email and further instruction.